Railpictures.ca - Paul Santos Photo: Coated in ballast dust SD40-2 CP 6045 is having a wheel trued on the wheel lathe. | Railpictures.ca – Canadian Railway Photography – photographie ferroviaire Canadienne. 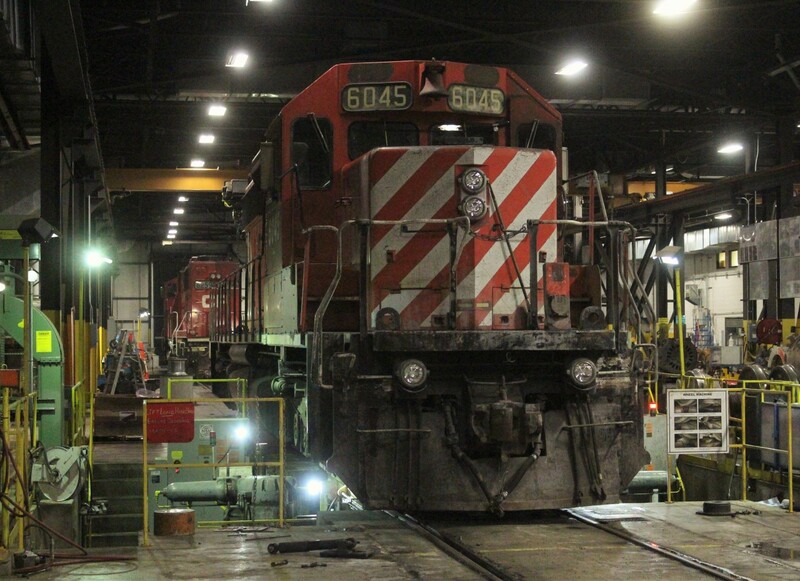 Caption: Coated in ballast dust SD40-2 CP 6045 is having a wheel trued on the wheel lathe.